The theme coming from US markets yesterday was a confident day as prices were lifted for much of it. Japan’s Nikkei also saw healthy demand after a lower open and that comes after yesterdays national holiday. Mostly, the gains were accredited to measures announced in China of tax cuts and possibly extended weekends, in order to boost the lagging economy. The Nikkei managed to close to one month's highs as gains in tech and exporters helped prices. The Yen was flirting with a 109 handle earlier in the day but has seen values respond to the UK’s vote and positions of uncertainty. The Hang Seng and Shanghai indices both rallied from the opening bell as optimism surrounding various tax measures boosted confidence. The Shanghai gained 1.36% and the HSI 2.02% with volume far better than recent average. The ASX benefitted from hopeful commodity demand and rallied +0.71%. The SENSEX too found its feet with a 1.3% rally. The oil price decline helped, but worth mentioning that the INR is taking a knock as it now trades with a 71 handle, a decline of around -0.5% in late Asian trading. Early European markets found relief after Germany avoided a technical recession when releasing a 1.5% GDP number, but is its weakest in five years. Italian banks have suffered in today's trading, as concerns that additional reserves to cover NPL’s are expected soon. That said, everyone was focused on the BREXIT vote happening in UK parliament later today and that remained dominant throughout the trading day. The vote was not due until 7 PM (GMT) and the result not for another couple of hours later, but did catch the end of US trading hours. 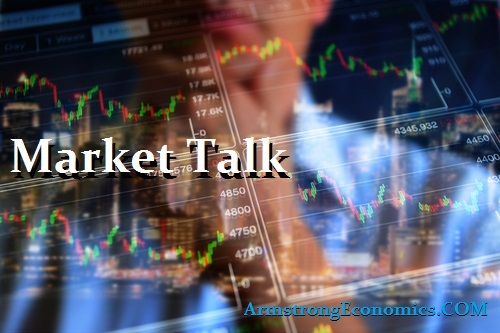 Mario Draghi spoke late in Strasburg, saying the economy was weaker than expected, but not close to recession to which the markets assumed there is no necessity to be raising rates anytime soon. Both the Euro and GBP lost -0.85% on the day on this news. Ahead of the BREXIT vote the market ‘anticipates’ Theresa May losing the deal by around 100 votes. Upon the result, we should get an address shortly after and hopefully offering clarity, if that’s possible! As we stand, the result was a huge 230 vote defeat for the government, serving as the largest in history. This was quickly followed by Jeremy Corbyn tabling a vote of ’No Confidence’ which may result in a general election. Sterling had hit a low of 1.2675 (-1.5%) but bounced on short-covering and speculation of official support.